MEBO Research received the TMAU test results of a batch of 24 samples. there are so many sufferers that are surprised with their test results from the lab. 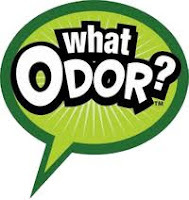 The benefit of each sufferer having obtained his or her test results is that now, each has a better picture of what causes his or her odor or what is not a cause of the odor. This knowledge helps each sufferer decide which protocol to apply to his or her daily life. There are many other diagnostic tests to be designed by experts to answer all our questions, but at the very least, this one answers some of them. WE CAN ALL BE PART OF THE SOLUTION! All sufferer need to appreciate that they contribute to finding answers by participating in tests and research. What I find most interesting about the experience of TMAU testing is that there are so many sufferers that are surprised with their test results. So many were on restrictive diets they really didn't need because their FMO3 enzyme function is actually very strong. Others now know that they most certainly need to support research into identifying and understanding, with microbiome research, the life processes of the gut bacteria that converts choline into TMA, in order to then find ways to eradicate or control it. Yet, the larger group now knows that they must be part of new research that explores other causes of odor conditions. All sufferers need to find scientifically based answers obtained from the TMAU test and from as many research programs carried out by renowned experts, as possible. All sufferer needs to appreciate that they contribute to finding answers by participating in tests and research. We can all be part of the solution! Please join me in doing so. 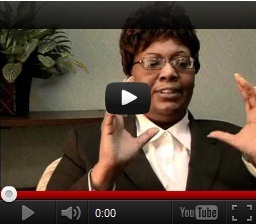 What mental outlook is the most likely to help sufferers find solutions to their condition? Each sufferer can shift from feeling helpless to feeling empowered by being actively involved in testing and research, thus pursuing personal answers as well as providing research data to our community's quest to find a cure for all types of body and breath odor conditions. Let go of pre-conceived beliefs of what you are convinced is the cause of your problems, and open your mind to take advantage of ALL possible tests that may become available to sufferers in the not so distant future, starting with the TMAU Test. Be completely cognizant that only scientific testing can rule out or confirm any condition! Any opinion based on one's “feelings” or unscientific sources are questionable at best. 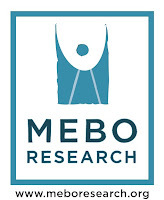 Please join and support MEBO Research and any other reputable organization that pursues research to discover and to understand all forms of odor conditions. Together we can obtain the much needed research into ALL POSSIBLE TYPES OF BODY/BREATH ODOR CONDITIONS. UNITED, WE CAN FIND A CURE!